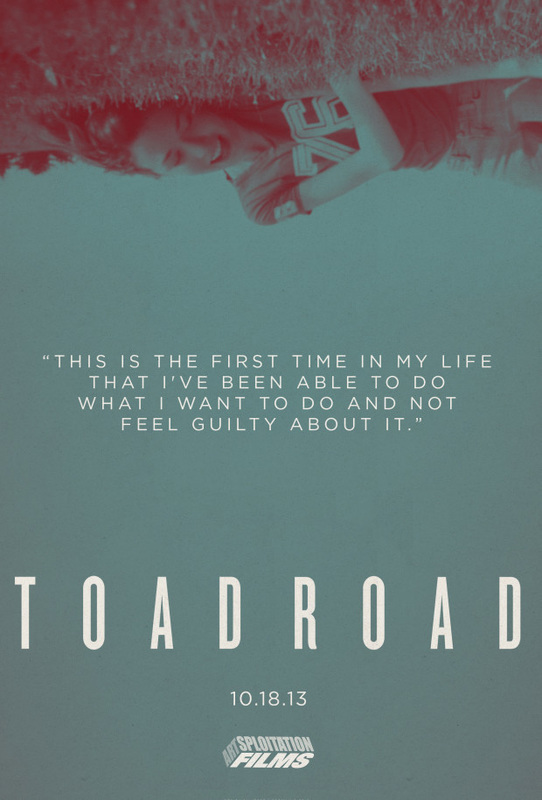 Jason Banker's 2012 indie thriller/drama Toad Road is not necessarily a new concept in film making. The movie revolves around several young adults who are lost in their lives and do whatever they need to live from day to day. And by that, I mean a host of drugs. A lot of drugs. Regardless of their vices, the film feels more like a documentary as you progress through the seventy-six minute run time. You develop an attachment to each character, Sara in particular. Sara, the female lead, is a vulnerable, lost soul who finds salvation in the company of her friends and copious amounts of pills, booze, and other substances. She and the male lead, James, develop a bond throughout the course of the movie and eventually are lead to Toad Road. The road, filmed in York, Pennsylvania, is rumored to possess the seven gates of Hell. With each gate passed, those that continue on will become more and more disoriented and separate from themselves. Sara and James compromise after differing opinions on whether or not they should go to Toad Road and, of course, drop acid before taking their physical trip. As the pressure of the trip, along with the severe side effects from the urban legend take shape on James, nothing is the same for either of our main characters. This film is not what I expected when I first came across it on Netflix. The cover art is intriguing. The ads for the film are eerie and misleading. The description was a bit off as well. What I'm trying to get at is that this film is not a horror movie. It has some scary elements to it, but it is more a drama than anything else. What makes this film even more unnerving is the conclusion of the film. Some movies claim to blur reality and fiction better than others, however, this one truly delivers in a very sad way. I won't spoil the end. I will say though, that the end hit me like a ton of bricks and left me thinking about this movie for days after I initially viewed it several months ago. It will have a lingering effect on you after viewing. Certainly worth a watch for a uniquely shot and well acted movie about the unknown.